This month Matthew Oliveira will be racing with his Hot Tubes teammates in Belgium, competing in one of the hardest juniors races worldwide. 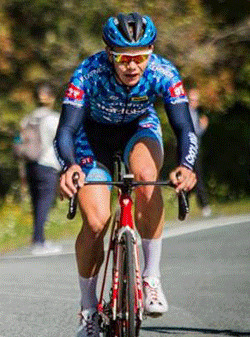 Oliveira will be racing with the top junior cyclists from each country in tough conditions and terrain during the Promo 37e SPIE International Junior Driedaagse, May 18th, 19th & 20th. Oliveira said, “I am so excited to have this opportunity and very eager to see how it goes.